Free. Open to the community. All are invited, young and mature. !Family Discovery Day! 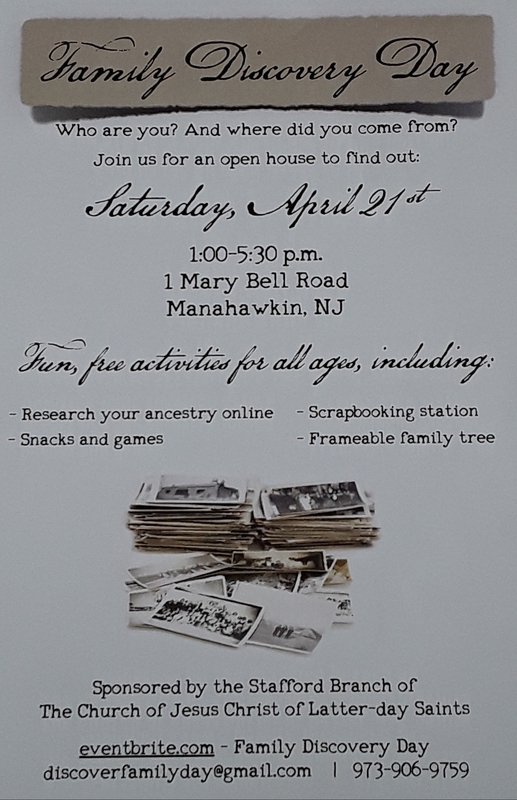 Learn how to find ancestors, develop a family tree, and preserve family records. Refreshments served.